Back in 2013 we first heard about iBuyPower's low cost Steam Machine, which was originally expected to launch for $499. Nearly 12 months later the company is finally ready to release it, complete with revised hardware and a lower price. 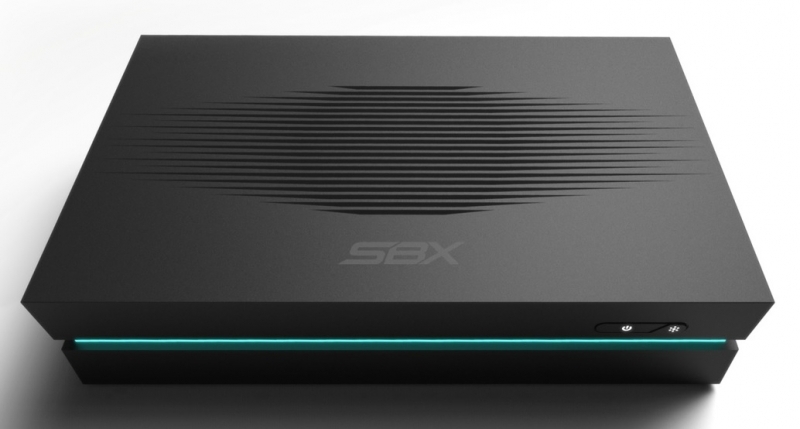 The SBX Entertainment System is, according to iBuyPower, a simple gaming machine that delivers performance "usually available to only high-end desktop PCs". Despite this claim, the SBX isn't exactly the most powerful system going around, which isn't too surprising when you consider it'll go on sale for just $399. The base model comes with an AMD Athlon X4 740 CPU, a Radeon R7 250X graphics card, 4 GB of RAM, and a 500 GB hard drive. The R7 250X is a card that typically retails for around $90, and is a definite downgrade on the original system that promised an R9 270. However, it should still be capable of playing some games at 1080p, just perhaps not the latest ones. For $399 you just get the SBX system, with no operating system installed and no controller provided. For an extra $60 you can add in an Xbox 360 controller, or for an extra $150 you can get both a controller and Windows 8.1 installed. There's only one hardware upgrade route available - a $699 model - though that just adds in 8 GB of RAM and a 1 TB hard drive. The SBX isn't technically a Steam Machine as Valve still isn't ready to officially release them, but iBuyPower does say the system is compatible with the SteamOS beta. If you wanted to purchase one of these gaming PCs, iBuyPower is now taking pre-orders with an expected shipping date of late October. Wider availability is slated for November.